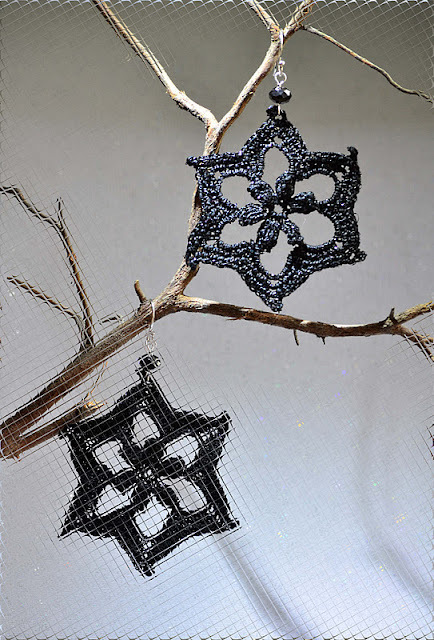 Outstanding Crochet: Crochet earrings. Star flower. The same trick: thin black wire on the back side around the star.